The last thing any business owner wants to see is water coming through the roof of their building. Even regular maintenance doesn’t make your commercial roof invincible to damage from harsh weather and other outside elements. Signs that your roof is leaking include the obvious such as water dripping from the ceiling and stained walls. However, mold growth and foul odors are also indicators of a leaky roof. Continue reading to learn more about the causes of leaky commercial roofs and how to fix these problems fast. When water doesn’t drain from your roof correctly, you end up with standing water. Eventually, this causes the materials to break down and cause water damage inside your building. It also reduces the lifespan of your building’s roof system. There are several areas where water might have problems draining. These include the scuppers, downspouts, and gutters. Have these areas cleaned and inspected regularly to make sure water moves off the roof and doesn’t puddle. Most people think that their building’s roof is a solid sheet of asphalt or steel. 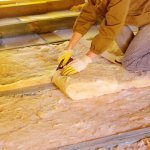 However, there are numerous penetrations and openings in the material of your roof. These openings include things like vents, HVAC units, gas lines, drains, and other pipe systems that must penetrate the roof membrane. These areas are vulnerable and may form leaks if they’re not sealed well during the initial roof installation. This is a piece of metal that roofers install where areas conjoin on the roof. For example, flashing is applied whenever chimneys or skylights are present. It’s also a material used along roof edges and interior walls. Metal flashing ages and eventually needs replacing. If you have regular roof inspections, it’s more likely you’ll catch this issue long before it creates a leak. However, high winds and other weather-related events damage flashing too. 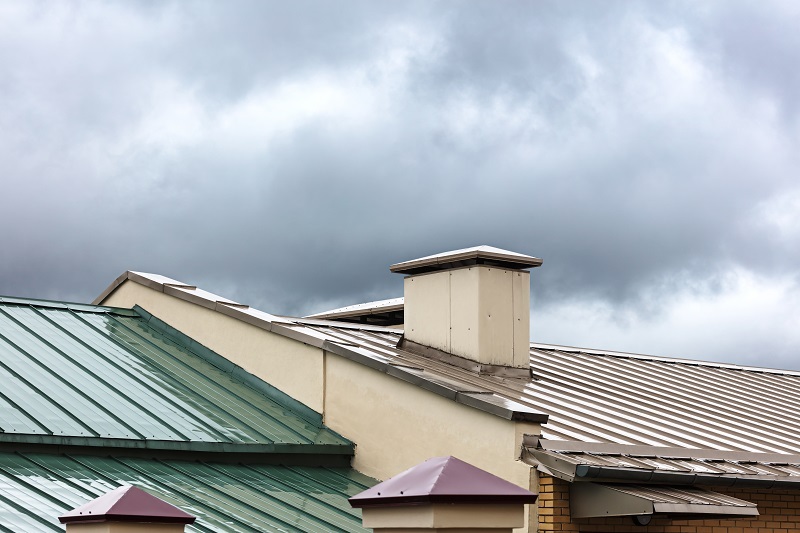 Therefore, if you’ve recently had a serious storm affect your building, it’s a good idea to have your roof’s flashing inspected to make sure it’s still in place. 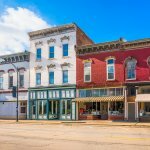 Commercial roofs don’t last forever. 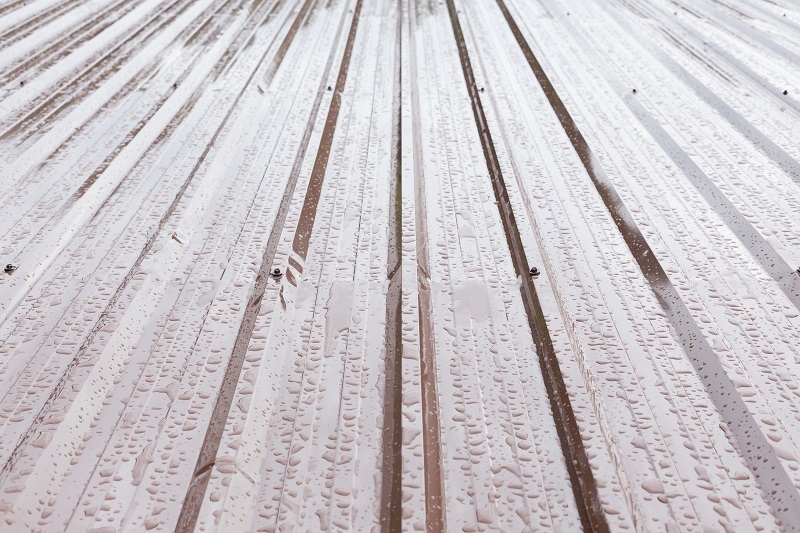 The first sign of an aging roof is when multiple leaks begin to develop. The average lifespan of a commercial roofing system is 15-20 years. Of course, the actual lifespan depends on how well the roof is maintained and whether or not it’s had patch work done. If you’ve had the roof on your building reroofed at least two times and have started to experience leaks, it’s time to call a commercial roofer to tear off the existing system and install a new one. First, don’t panic. Try to figure out where the water is getting into your building. Mark this area and remove equipment and furniture from the area to minimize damage. Next, call a commercial roofer to come to your building and inspect the roof. Get that leak fixed right away to prevent additional problems. For fast, professional commercial roof repair and replacement, contact Findlay Roofing today!